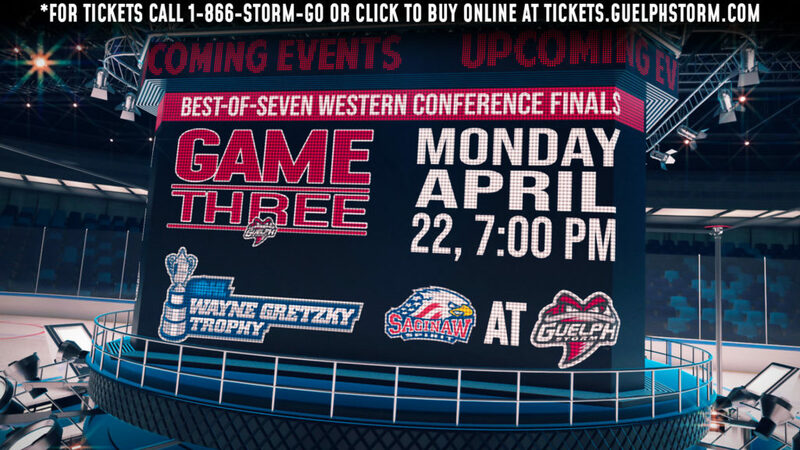 The Guelph Storm and the London Knights take to the ice on Wednesday April 10th for game 4 of the Western Conference Semi-Finals in Guelph at 7:00pm. The London Knights are taking a 3-0 series lead going into game 4 in Guelph after a 7-4 win on Monday April 8th in game 3 at the Sleeman Centre. London won game one, by a score of 3-2 after the London Knights jumped out to a 2-0 lead in the first period. 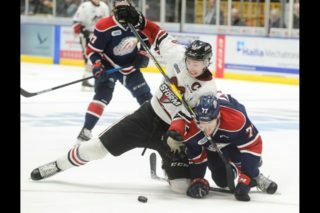 The Knights and the Storm exchanged goals in the second period, before MacKenzie Entwistle brought the game within one goal in the third period. In game two, the Knights took a 2-0 lead into the third period, where they scored 5 goals in the opening 6 minutes of the period to win the game 7-0. 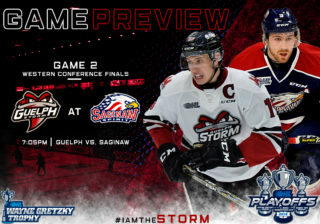 In game three at the Sleeman Centre, London outscored the Storm 3-1 in the opening period. In the second period London and Guelph each scored 3 goals to make the game 6-4 heading into the third. 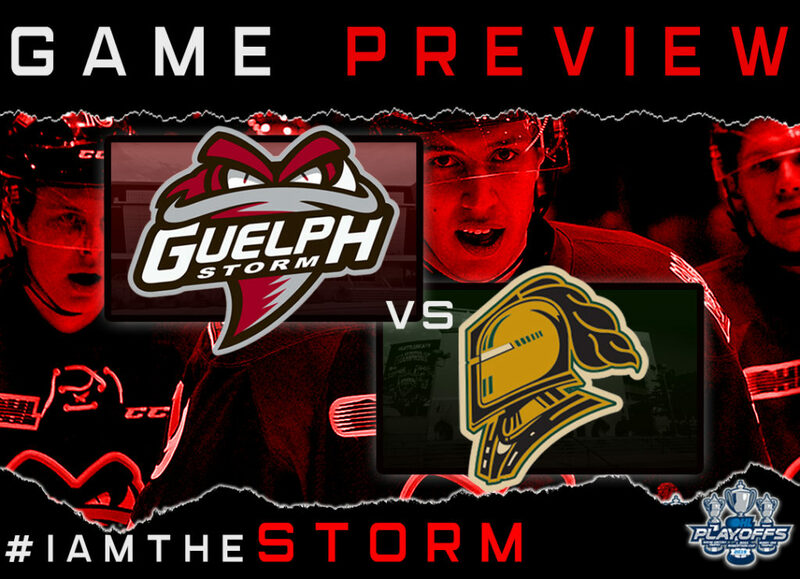 The Knights were able to hold off the Storm’s early pressure in the third period, before Evan Bouchard scored his second of the night to give the London Knights a 7-4 win and a commanding 3-0 series lead. 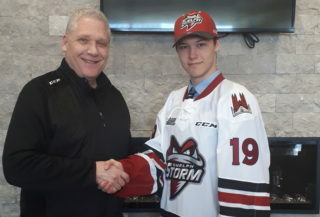 Nate Schnarr had a career season with the Storm with 34 goals and 68 assists for 102 points setting career highs in all of those categories. Through 7 playoff games this season, Nate has 2 goals and 9 assists for 11 points and will be essential for the Storm to comeback in the 2nd round series against the Knights. Evan Bouchard has been on fire this post-season, with 4 goals and 14 assists for 18 points in 7 games played thus far. Bouchard was a rookie on the 2016 London championship team, and has collected 32 points in 35 playoff games. Evan has scored 2 goals and 6 assists in the 3 games played in the Western Conference Semi-Finals against the Storm.